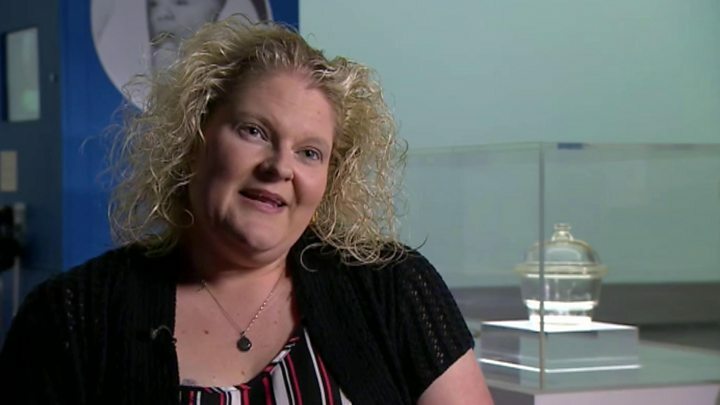 Heather Bell persevered with IVF for almost five years before she had children. “I thought about adopting all the time,” she told BBC News, but her and her husband decided to pursue IVF. The boss of a body that represents children in care has said the success of IVF has contributed to a drop in the number of children being adopted. When she decided against adoption, Heather, now 41, said she was shocked, embarrassed, disappointed and frustrated at her feelings around her decision. But despite two miscarriages and two full cycles of IVF, she felt she wanted to try to have her biological children. Eventually she gave birth to two daughters through IVF, and went on to have two more children naturally. Even if she had not given birth, she said, she felt she might not have had the “emotional energy” to go through the adoption system. It is that system that Anthony Douglas, head of the Children and Family Court Advisory and Support Service (Cafcass) has spoken about in an interview with the Daily Telegraph. He says the adoption process in England is “far too slow”. And it is having to compete with other ways of becoming a parent. Mr Douglas, 69 – who was himself adopted – told the newspaper: “IVF used to be around 7% successful and now it’s around 30%.